John Varvatos is a brand that occupies a unique place in the landscape of American design. It unites old world craftsmanship and refined tailoring with modern innovations in textiles and a rock-n-roll sensibility. 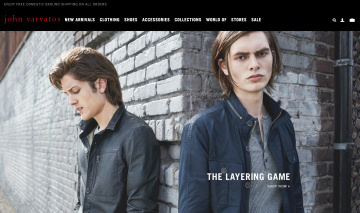 Click a Coupon or click Start Shopping to earn 4% Cash Back at John Varvatos.